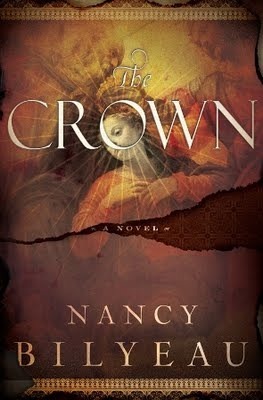 The Crown is a truly wonderful read, historical fiction at its best. This is the story of Joanna Stafford, a cunning woman and novice nun no less. Nancy Bilyeau manages to create a work which is richly detailed and engaging without losing her audience into tedium. Joanna is tasked to find a missing crown believed to hold certain powers in order to save her father from the tower of London. Her search is tangled up with the lives of important figures from Henry VIII reign, as well as the challenges facing the church at the time. The characters which Joanna encounters on this mission are all well developed, unlike many novels where the main character’s shine comes from the dullness of her competition. Bilyeau keeps you in anticipation through the mysteries, conspiracy, and journey with a masterful interconnection of the details and storyline. While not probably an entirely novel storyline, being set among the monasteries and priories gives this work provides a unique perspective on the time. The story keeps you on the edge of your seat and just when you think that you know where things are headed and how the story will end, Ms. Bilyeau changes the game. Hopefully this sets the stage for a sequel, because I need to know what lies ahead for Joanna Stafford. I highly recommend The Crown to fans of historical fiction, religious conspiracy/mystery, and sixteenth century England. Sarah, I applaud you for writing such a beautiful and brilliant story! 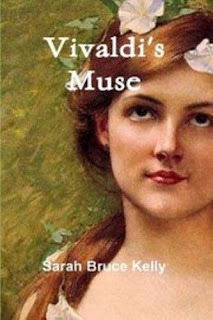 When I read Vivaldi’s Muse, I couldn’t put it down! 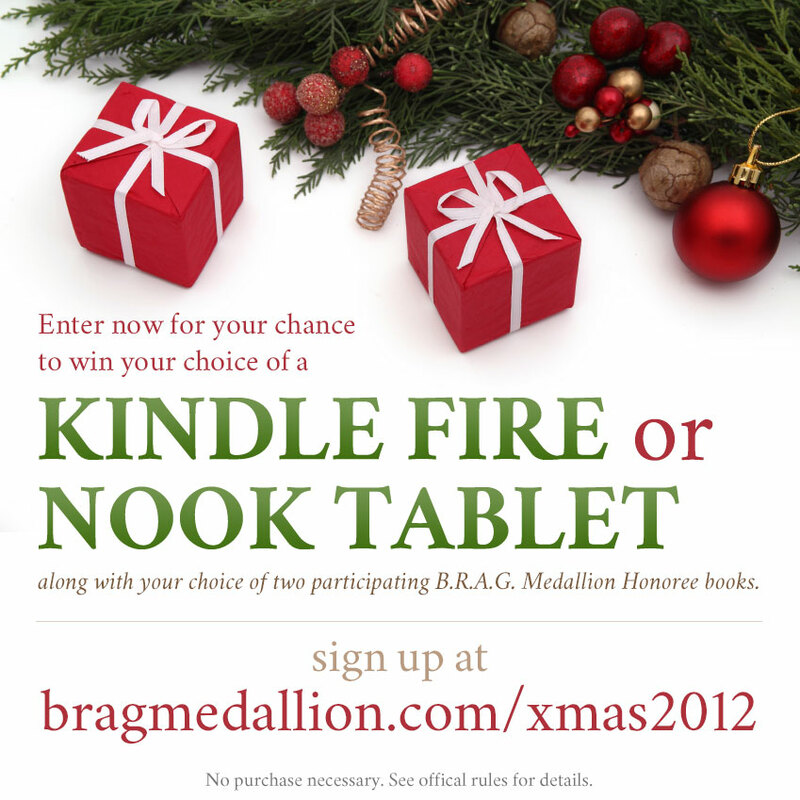 Could you please tell your readers about your story? Annina first falls under the spell of the fiery and intriguing prete rosso (red-haired priest) at a young age, when Vivaldi is resident composer at the court of Mantua, her hometown. Stifled by the problems of her dysfunctional family, she has long dreamed of pursuing operatic stardom, and her attraction to the enchanting Venetian maestro soon becomes inseparable from that dream. She eventually joins him in Venice, but her road to theatrical success is rife with obstacles such as malicious rival singers, disparaging impresarios, and unscrupulous noble patrons. Rumors about the nature of her relationship with her beloved mentor, Vivaldi, abound and lead to dire problems yet, ironically, draw them closer together. But her growing guilt about her secret longing for him, complicated by her inherent fears of rejection and abandonment, threaten to poison their relationship from within. In the end she discovers that their love for each other has grown into something that transcends their personal relationship¾and she finds true love when she least expects it. It’s very clear that you did extensive research for your story. Please tell me a little about what was involved in your research. My research for Vivaldi’s Muse spanned about ten years and included travels to Northern Italy and Austria, as well as a drive through the Alps. During this time I tracked down and translated countless historical documents, from which I gathered a wealth of information. Sorting through and putting together this mountain of information was quite an adventure in itself, involving many “Aha” moments, when certain puzzling situations began to take on some clarity. It was sort of like putting together a giant puzzle which, while often challenging, was also extremely exciting. Your characterization of Annina and Antonio is remarkable and you did a fantastic job bringing the early eighteenth-century opera back to life in your story.What did you find the most challenging to write about of the past and your characters? As daunting as the task seemed at the time, I knew I had to re-write and expand the story from the perspectives of certain key characters. I also knew I had to delve much more deeply into the culture and politics of the opera world in early 18th-century Venice. Very little research had previously been done on this little niche of music history, so my quest involved more hunting down of obscure documents and piecing together my findings. My goal was to re-create as realistically as possible the distinctive social and musical culture of Venice in the 1720s and 30s. My biggest challenge was finding Vivaldi’s voice, since I planned for much of Vivaldi’s Muse to be told from his perspective. I eventually achieved this by re-reading, over and over, everything he’d ever written and by immersing myself in his music. His music is so intimate, so revealing of his personality, that the more I listened the more I got to know him. What are some of the fictional aspects to your story? My goal in writing Vivaldi’s Muse was to reveal the true story of Vivaldi’s and Anna Girò’s relationship, a story which had never before been told in its entirety or with any basis in documented fact. As a result, all the major events in Vivaldi’s Muse are real and documented. A few minor characters, and one fairly major character (Gigi), are fictional, as I explain in a “Message to the Reader” at the end of the book. These imagined characters portray the kinds of people who no doubt would have been part of Antonio’s and Annina’s world, and in many ways they enhance the dramatic impact of the story. As for dialogue, some is paraphrased from documents, but obviously there is no way to know exactly what people who lived nearly 300 years ago said to each other on a daily basis. So while I would not call the dialogue “fictional,” most of it grew from my interpretation of how particular characters would react to certain situations. What book project are you working on now? My current project is another work of historical fiction based on real people and events. I’m still in the research stage, but from the information I’ve gathered so far a story is starting to take shape. The setting is the court of Mantua around the turn of the 16th century, where a mysterious relationship develops between a young noblewoman and her favorite court composer. I don’t want to reveal too much yet except to say that the story involves marital infidelity and murder–two subjects I have not dealt with in my previous novels. Read, read, read, especially topics and genres that interest you the most. Keep a notebook of ideas that appeal to you, no matter how random or far-fetched they may seem. You’ll come back to that notebook time and again in the course of planning your story. Once you have a plan, write every day. Keep a list of scene ideas and work on developing those scenes, one by one. If you aspire to write historical fiction, realize that a great deal of research will be required. Not only must you be sure of all the facts about your characters and events, but you’ll want to familiarize yourself with the daily life and customs of the time and place. The more authentic your characters and setting are, the more engaged readers will be in your story. Now on a more personal side? What are you currently reading? Historical Fiction, but as you can see I enjoy other genres as well, especially the Classics. Mostly evenings and weekends, lounging on my living room sofa. In which format do you prefer to read in? Paperback or e-book? Definitely paper! To me it’s just not as cozy to curl up with an e-reader. Sarah thank you for your time and it was a pleasure to chat with you as always! Sarah Bruce Kelly’s passion for Vivaldi’s music began at the age of four, when her father brought home one of the first LP recordings of The Four Seasons. Her devotion to music continued to grow and manifest itself during her ensuing years of piano and voice lessons and performances. Sarah pursued her musical studies with private teachers through her college years, while studying English literature and developing her writing skills. 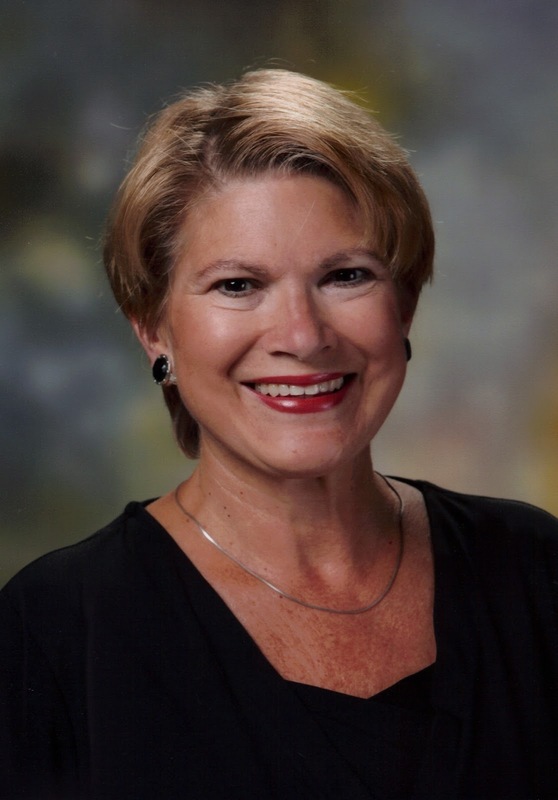 In 1979 she earned a Bachelor’s degree in English from the University of Richmond. Marriage and family soon followed, along with freelance work as singer and pianist. In 1986 Sarah opened a private teaching studio, and in 1998 she returned to the University of Richmond to pursue a Masters degree in Liberal Arts, which she completed in 2002. Her research for a paper on Vivaldi’s opera career led her to the fascinating but little known story of his longtime student and friend, Annina Girò. Sarah’s deep interest in this story prompted her to continue her studies at the University of Virginia, where she earned a Master of Arts in Music degree in 2005. In her quest for historical accuracy in telling Annina’s story, Sarah has learned Italian, roamed the streets of Venice and Vienna, and consulted 18th-century music scholars. Currently, she teaches Italian and Music History at Coastal Carolina University and Music and Latin at a private school. Sarah has two grown children, Frankie and Mary Catherine, and lives near the South Carolina coast with her husband, Frank. She is the author of Vivaldi’s Muse as well as two historical novels for young adults: Jazz Girl and The Red Priest’s Annina. England, 1660. Ella Appleby believes she is destined for better things than slaving as a housemaid and dodging the blows of her drunken father. 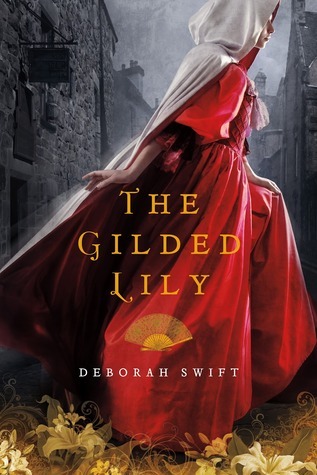 When her employer dies suddenly, she seizes her chance–taking his valuables and fleeing the countryside with her sister for the golden prospects of London. But London may not be the promised land she expects. Work is hard to find, until Ella takes up with a dashing and dubious gentleman with ties to the London underworld. Meanwhile, her old employer’s twin brother is in hot pursuit of the sisters. The dialogue is well-written and the story is beautifully crafted. Swift obviously did extensive research for her story and it is true to the period of time the story takes place. I highly recommend this story and I have rated it five stars! DEBORAH SWIFT, a set and costume designer for the BBC, lives in Windermere, England. THE LADY’S SLIPPER, shortlisted for The Impress Novelists Prize in 2007, was inspired by her own discovery of the rare orchid during a summer walk. 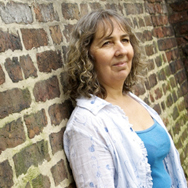 For more information on Deborah Swift and her novels, please visit her website at www.deborahswift.co.uk. 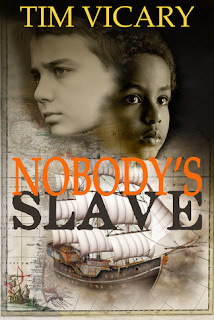 Nobody’s Slave is a book about slavery and the consequences of it on everyone concerned. It is a story about Africans, Europeans, human suffering and cruelty, but also of hope and judgement. When I first started reading it, it had the ring of Roots, but very soon it diverged. The message of this author was different. The story was well told, and both the protagonists, Tom and Madu are both well-etched characters and their stories run parallel to each other, till the very end. The other characters are also very balanced and fit well into the story. The story winds right through Africa, Spain, and England, not to mention the time at sea, and provides a delightful contrast to each other. The book itself winds to a close with a note of hope and understanding which is very heartening, though nowhere close to historical. I honestly cannot see any flaws with the book, which takes us on a roller coaster of emotions, from the depth of despair to the heights of hope. I would recommend this to anyone interested in this genre or history or just to everybody at all. The focal point of the book is that slavery was practiced by all societies and it was equally bad no matter who practiced it. I really enjoyed this book and look forward to reading other books by the author. I give this book 4 / 5 stars. Finian, it is a pleasure to be interviewing you. Could you please tell me about your book, The Nightmare Stone? 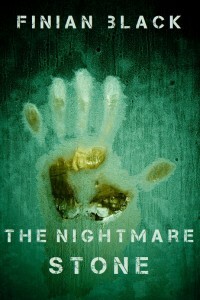 ‘The Nightmare Stone’ is about normal people thrown into a very abnormal situation. The main character is a family man, disillusioned with work, who gets the opportunity to give his wife and daughter a life they could only have dreamed of. But dreams have a nasty habit of turning into nightmares! It combines some of my favourite ghost story themes, namely the spooky old house, people who aren’t always what they seem, and historical references to place it all in context. Then I throw in a literary twist that has surprised a lot of readers. Without wanting to give too much away, my son was completely obsessed with Peter Pan when he was about four. I went back to the original novel, to get beneath the skin of the Disney version that is so familiar to us all. There is so much darkness there, I knew I had to use it as the basis for this book. Secondly, I’ve suffered from significant episodes of insomnia, and that experience coloured the story. How long did it take you to write, The Nightmare Stone? I started sketching out the story in late 2009, then started writing it in late 2010 before abandoning it because it just wasn’t working. I hadn’t found the right balance of the past and present. A chance discussion with a good friend took me back to the manuscript and I finished the first draft a few weeks later. Then it was re-written before the editing and proof reading phase, so in total about a year. Do you have to have a certain mind-set to write these types of stories? If so, please explain. That’s a great question. I think you do. I think you need to be able to see the darkness that lurks beneath the surface of so many everyday situations. I’m not a fan of blood and guts and gore. I prefer the scare that comes from the shadow in the corner, the movement out of the corner of the eye. I like to imagine what lurks behind the mirror. Do you have any other supernatural thrillers that you’re working on? I certainly do. ‘Angels of War’ will be published on 12/12/12, again for kindle and kindle apps. It’s the first release of a trilogy, inspired by the myth of angels that appeared in the skies over the Belgian town of Mons in the first days of World War One. I’m very excited by the story; these are very human angels, fragile and flawed. The first book is set entirely in 1914-1918, then the second book will pick up the threads of the story in the present day. My wife came up with many of the themes that I explore and this book is definitely for her. Where is your favorite spot in your home to write? I write at the kitchen table of our house in Winchester, looking out over woodland. I need music to write, always. I write in the evening once the kids are in bed, so at the moment the views aren’t so good. Roll on the summer! The same advice I give myself again and again – keep writing. I try and write something every day, even if it’s a few hundred words that will never make the final edit. It’s a skill that needs practice like any other, and I know I’m getting better because I keep working at it. Believe in yourself, and write the kind of stories you want to read. I read ‘Watership Down’ when I was about nine. It blew me away, and is still one of the greatest reads ever. The imagery, use of language and scale of the story is astounding. Richard Adams lives quite close to me, but I would be too star-struck to ever seek him out! ‘The Stand’ by Stephen King is one of the best ever post-apocalyptic books. It’s his finest achievement in terms of characterisation and the use of multiple perspectives. I love it and have read it many times. I’m a huge fan of Carlos Ruiz Zafon. ‘The Shadow of the Wind’ is, in my opinion, the best gothic novel of the last twenty years. And finally, I have to say ‘Great Expectations’. It’s simply the greatest novel in the English language. I’m reading ‘Let The Right One In’, by John Ajvide Lindqvist. It’s terrifying and I’m in awe of the prose. I’ve recently finished Andrew Graham Dixon’s biography of Carravagio, entitled ‘A Life Sacred and Profane’. Carravagio was the original infant terrible. I think he may well pop up as a character in my ‘Angel’ trilogy! I’m struggling to find time to read anything at the moment, as I’m desperately working to get ‘Angels of War’ ready for publication. When it’s out there, I’m going to settle down with Justin Cronin’s ‘The Twelve’, sequel to ‘The Passage’. I discovered indieBRAG on twitter and was so pleased and proud to be awarded their Medallion for ‘The Nightmare Stone’, because it’s the readers who decide. Support for independent authors like me is so important and I’m immensely grateful. That’s all. Thanks again, Stephanie. It’s been a real pleasure. FINIAN BLACK was born in the heart of the Black Country. He studied medicine at Leicester University, served in the British Army and is now a GP in the south of England. He wishes he could get back up to the Midlands more often to see his beloved Wolves play. Black is married with two children. He writes because the words are in there and they have to come out somehow. His fiction is inspired by the work of his heroes – Stephen King, Carlos Ruiz Zafon and Charles Dickens. He writes across genres; historical fiction melting into modern supernatural suspense. THE NIGHTMARE STONE is his first novel. It is inspired by the life and times of JM Barrie. Finian Black’s second novel, ANGELS OF WAR, will be available on amazon for kindle in December 2012. Inspired by the myth of the angels of Mons that were supposedly seen over the Belgian town during the desperate days of the battle of 1914, it is a sweeping story of love, loss and belief. 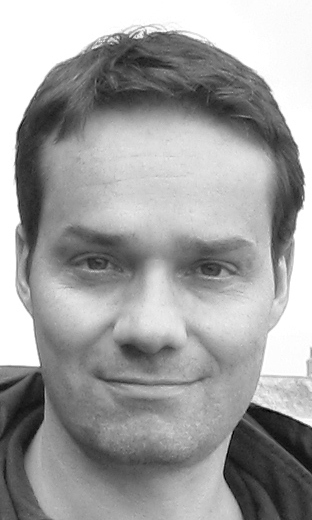 We are delighted that Stephanie has chosen to interview Finian Black who is the author of, The Nightmare Stone, one of our medallion honorees at http://www.bragmedallion.com. To be awarded a B.R.A.G. MedallionTM, a book must receive unanimous approval by a group of our readers. It is a daunting hurdle and it serves to reaffirm that a book such as The Nightmare Stone merits the investment of a reader’s time and money. 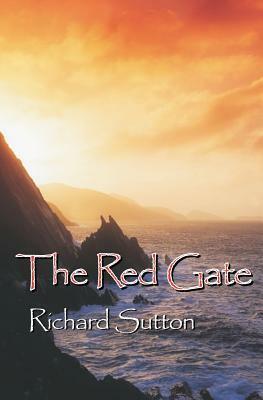 The Red Gate by Richard Sutton is a great example of how family history can be made intriguing and interesting! The novel starts with an unexplained drowning and a rainy funeral. These events are just the catalyst that sets off a chain of unexpected events leading to the discovery of an ancient secret that threatens the future of a family if exposed to the world. Everything has to do with a little bead that Finn finds, it is the key to a much greater and significant family history that is buried under the land owned by Finn and his father. Richard Sutton produces an excellent novel that is well written and full of emotion. The book is descriptive and lyrical making it a joy to read as well as keeping the readers interest from waning. The reader can feel the hardship of the characters as well as the warmth of a family who supports one another. The characters were well written and really brought the novel to life. 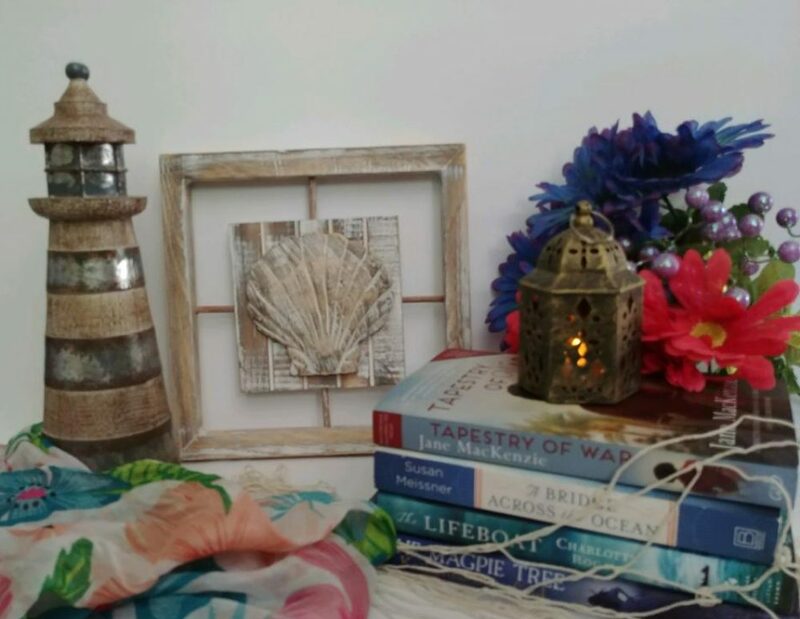 The Red Gate is a historical fiction novel that has been clearly well researched, there is so much Irish heritage throughout out the story it makes the reader want to pick up and move to the Emerald Isle. I give this book four stars! An excellent read for anyone who enjoys historical fiction as well as Irish family heritage.